“The first few weeks of the Trump administration have been an illustration of that line from the writer Alfred Montalpert: “Do not confuse motion and progress. A rocking horse keeps moving but does not make any progress,'” Zakaria said. “We are witnessing a rocking horse presidency,” he added. Though the host of CNN’s “GPS” acknowledged that since winning the election the President has “dominated the news,” he couldn’t, fathom what Trump had “actually done” over the past month. “This week, Trump said at a news conference, “There’s never been a presidency that’s done so much in such a short period of time,” Zakaria noted. Trump had issued a series of “executive orders with great fanfare,” Zakaria acknowledged. As for many of Trump’s campaign promises, from the reindustrialization of the Midwest to reviving the coal and steel industries, to imposing term limits on all members of Congress? “All were promised, none has been done,” said Zakaria. “For many people, the bargain of the Trump presidency was that they would put up with the freak show in order to get tax reform, infrastructure projects and deregulation,” he said. “The Romans said the way to keep people happy was to give them “bread and circus” — sustenance and entertainment” said Zakaria. 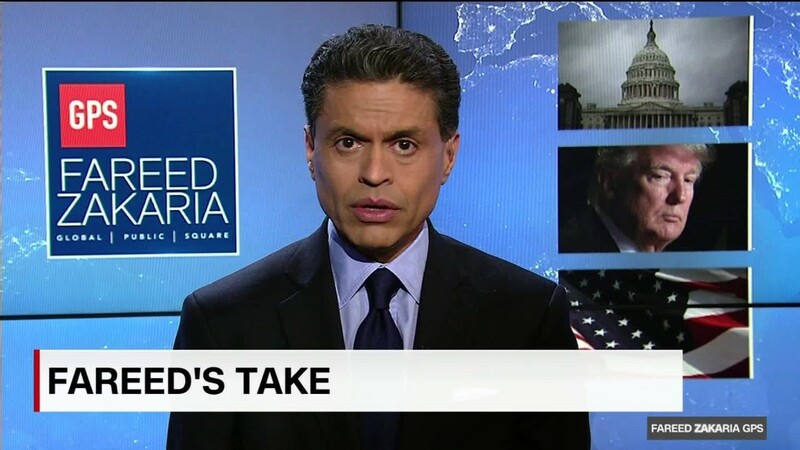 Posted	in Uncategorized	| Tagged politics, Zakaria: Trump has "hardly done anything"
You dont have to have perfect vision to enjoy VR, but brother, it helps. Otherwise, youre looking at having to worry about accommodating glasses, eye tracking not working, ocular distances maxing out and so on. Stanford researchers want to make things easier for people with vision problems to use VR, but its not going to be easy. Vision is a complicated process, and a lot of things can go wrong but common afflictions like nearsightedness or an inability to focus on objects close up affect millions. Combined with how VR presents depth of field and other effects, this leads to a variety of optical problems and inconsistencies that can produce headaches, nausea and disorientation. VR headsets often allow for adjusting things like the distance from your eye to the screen, how far apart your eyes are and other factors. But for many, its not enough. An illustration from the paper shows how even with perfect vision a vergence-accommodation conflict can arise. With vision problems, this and other effects could be more common and more intense. Every person needs a different optical mode to get the best possible experience in VR, said Stanfords Gordon Wetzstein in a news release. His teams research, published today in the Proceedings of the National Academy of Sciences, describes a set of mechanisms that together comprise what they call an adaptive focus display. One prototype used a modified Samsung Gear VR. One approach uses a liquid lens, the shape of which can be adjusted on-the-fly to adjust for certain circumstances say, when the focus of the game is on an object that the viewer normally wouldnt be able to focus on. The screen itself could also be moved in order to better fit the optical requirements of someone with a given condition. The technology we propose is perfectly compatible with existing head mounted displays, wrote Wetzstein in an email to TechCrunch. However, one also needs eye tracking for this to work properly. Eye tracking is a technology that everyone in the industry is working on and we expect eye trackers to be part of the next wave of [head-mounted displays]. Thus, our gaze-contingent focus displays would be directly compatible with those. In the paper, both commercial and built-from-scratch headsets are used to prototype various methods of adjusting optical qualities of the displays. The team tested these with 173 participants at (among other places) last years SIGGRAPH conference; the news release reports an improved viewing experiences across a wide range of vision characteristics. Wetzstein confirmed to TechCrunch that the team is in contact with pretty much all VR headset makers. I cannot reveal any specific details about these collaborations, he wrote, but I can say that there is a huge amount of interest and technology developments in industry are closely aligned with our research. It seems likely, then, that we can expect headsets in the next generation not just to be better optically and ergonomically, but to be more inclusive and accommodating (so to speak) of those with vision problems. The editor-in-chief of Der Spiegel said on Sunday a front cover illustration of Donald Trump beheading the Statue of Liberty, which split opinion at home and abroad, was a response by the German magazine to threats against democracy. Published on Saturday, the cover depicts a cartoon figure of the US president with a bloodied knife in one hand and the statues head, dripping with blood, in the other. It carries the caption: America First. It followed a series of attacks on Berlins policies by Trump and his aides that have marked a rapid deterioration in German relations with the US. Der Spiegel does not want to provoke anybody, editor-in-chief Klaus Brinkbaeumer told Reuters after the cover set off a debate on Twitter and in German and international media, adding he was surprised by the impact of the illustration. We want to show what this is about, its about democracy, its about freedom, its about freedom of the press, freedom of justice and all that is seriously endangered, he said. So we are defending democracy Are these serious times? Yes they are. Alexander Graf Lambsdorff, a member of Germanys Free Democrats (FDP) and vice-president of the European Parliament, described the cover as tasteless. Die Welt said it damages journalism while another German daily, the Frankfurter Allgemeine Zeitung, said it was exactly what Trump needs a distorted image of him, which he can use to work more on his distorted image of the press. Karl-Georg Wellmann, a lawmaker for Chancellor Angela Merkels CDU conservatives, told mass-selling daily Bild: I urge everyone to calm down and to handle this with reason, rather than gut feeling. German chancellor Angela Merkel was the go-to European ally for President Obama, who praised her as an outstanding partner. Trump has said Merkel made a catastrophic mistake with her open-door migration policy, and his top trade adviser last week accused Germany of using a grossly undervalued euro to gain advantage over the US and its European partners.